Pro Smooth forward controls combine form and function in this outstanding design. Hidden hardware, folding pegs, rubber inserts, and a flat front master cylinder provide a clean design sure to be a focal point of any motorcycle. Matching grips complete the set carrying this uncluttered design throughout your motorcycle. 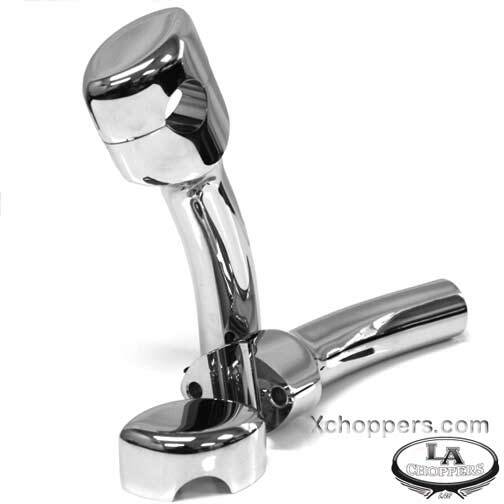 Includes banjo bolt brake light switch, shift rod adapter, stainless steel brakeline, and horn relocation bracket. Fits VTX 1800 (all models). Moves foot pegs forward 4.25" from stock location. These controls feature rubber ringed foot pegs for a durable, slip resistant surface. 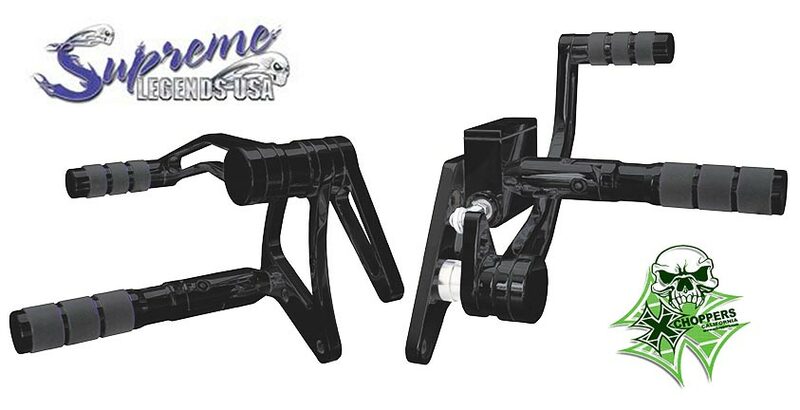 Supreme Legends USA is committed to offering the same extensive line of products to the metric market that they produce for Harley-Davidsons. These Supreme Legends controls for Hondas wildly popular VTX 1800 are based on their extremely successful Pro-Smooth line. Manufactured from Black Anodized 6061-T6 billet aluminum, these controls include a DOT compliant master cylinder and work perfectly with the factory linked braking system.